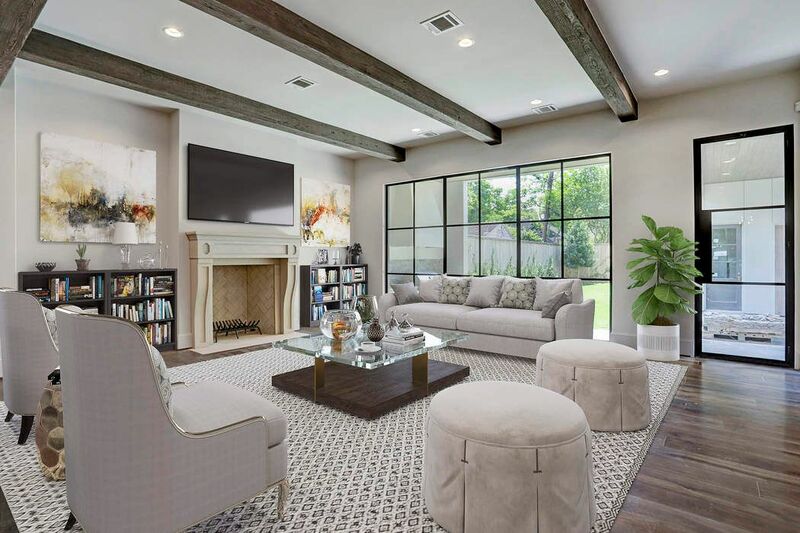 3215 Tangley Street, Houston, TX 77005 | Martha Turner Sotheby's International Realty, Inc.
A beautiful steel picture window and encased wine storage highlight this fabulous study, while French oak flooring, custom cabinetry and chic lighting lend additional style to the room. 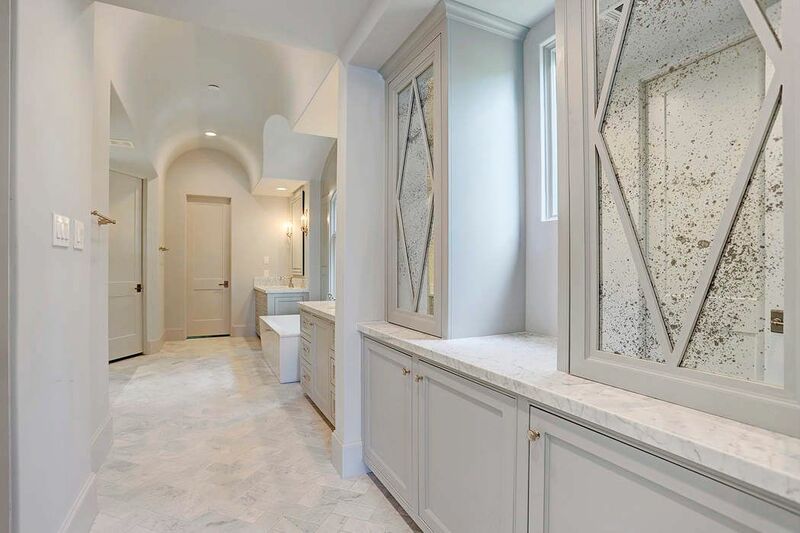 Please note there is a $5,000 allowance included in the sales price for the buyer to customize and climatize the wine room as desired. It is already insulated and pre-trimmed for a chilling unit. 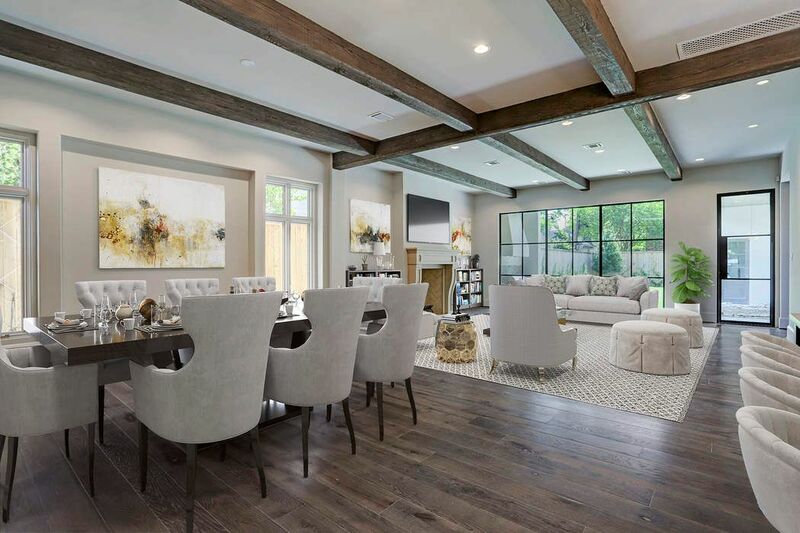 The floor plan was designed for entertaining including an open concept floor plan for the living and dining rooms and kitchen. 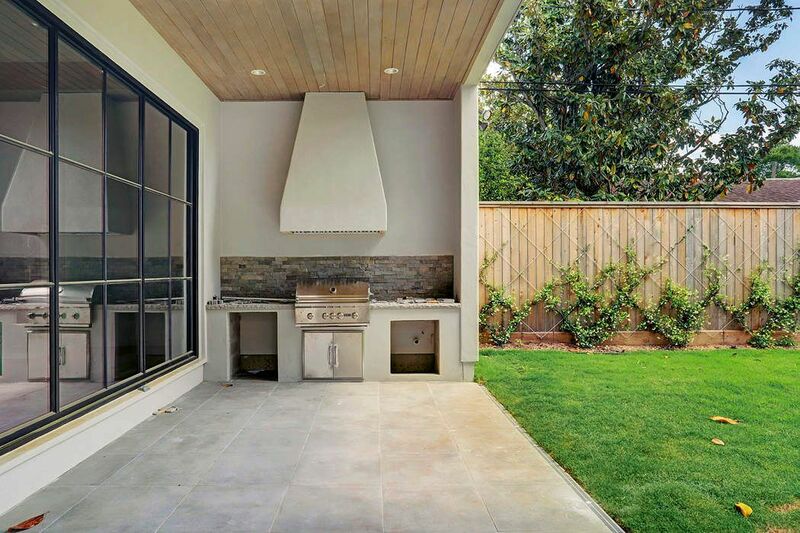 Additionally, there is a covered patio with an outdoor kitchen and yard with plenty of space for a nice-sized pool. 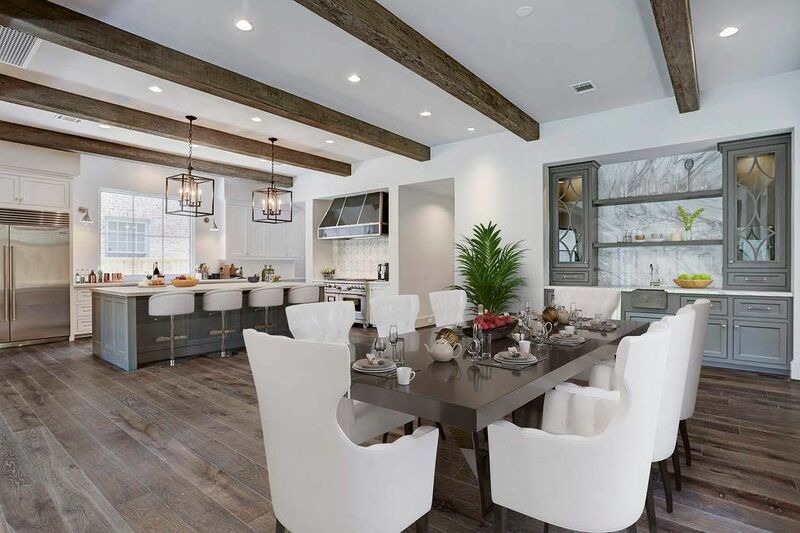 Note there is plenty of space to add a serving buffet or other piece between the two dining room windows. 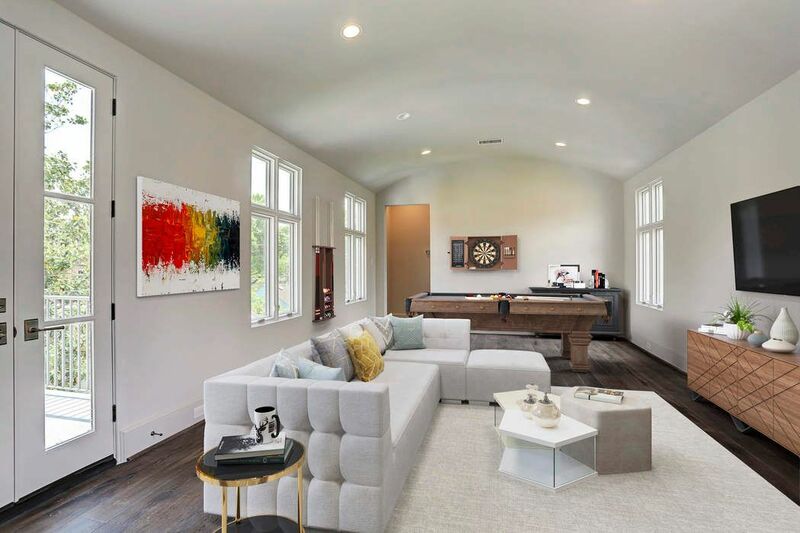 This home is Energy Sense compliant and also includes foam insulation, tankless water heaters, 16+SEER Trane variable speed HVAC systems and low-E thermal windows and doors. 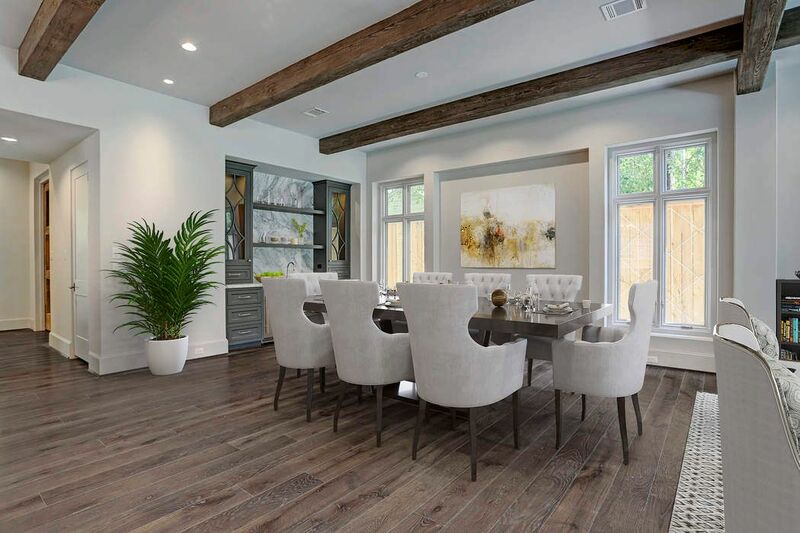 The dining room is wired for a chandelier or other fixture. 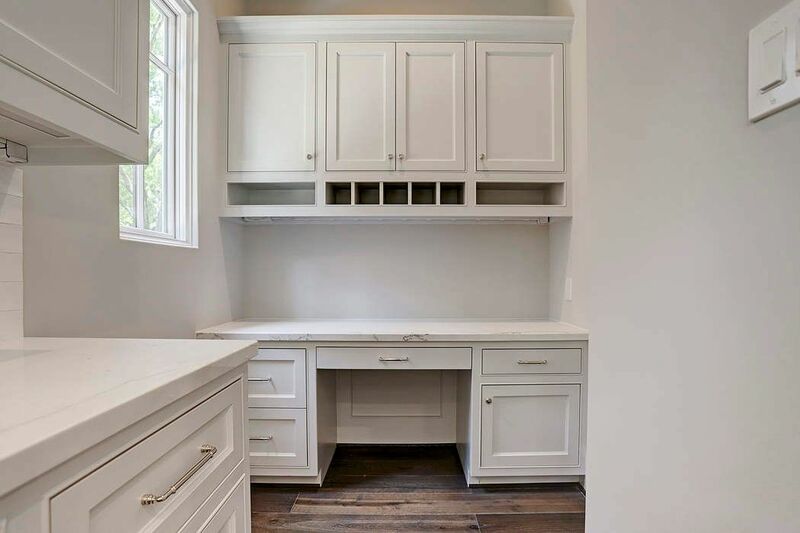 The custom wet bar is beautifully appointed with a slab marble backsplash and countertop, lighted cabinets with glass shelving and an ice maker. 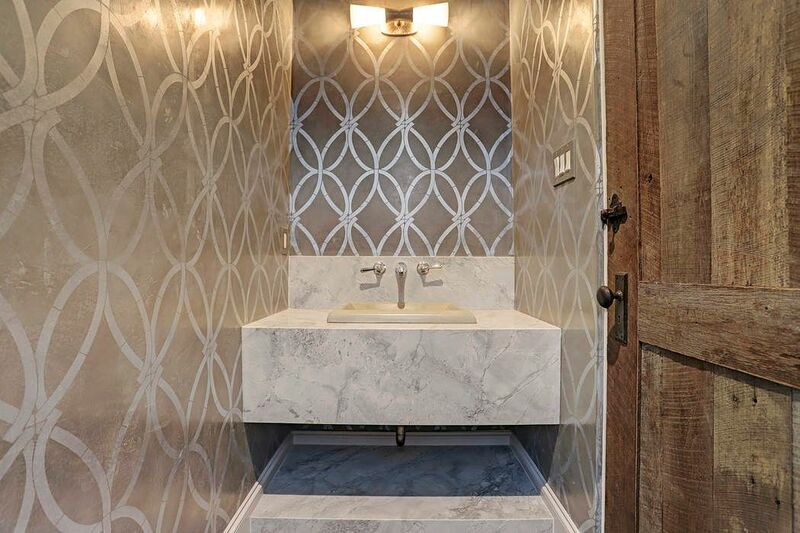 The powder bath features a floating marble countertop and plastered walls that were hand-stenciled by Segreto Finishes. 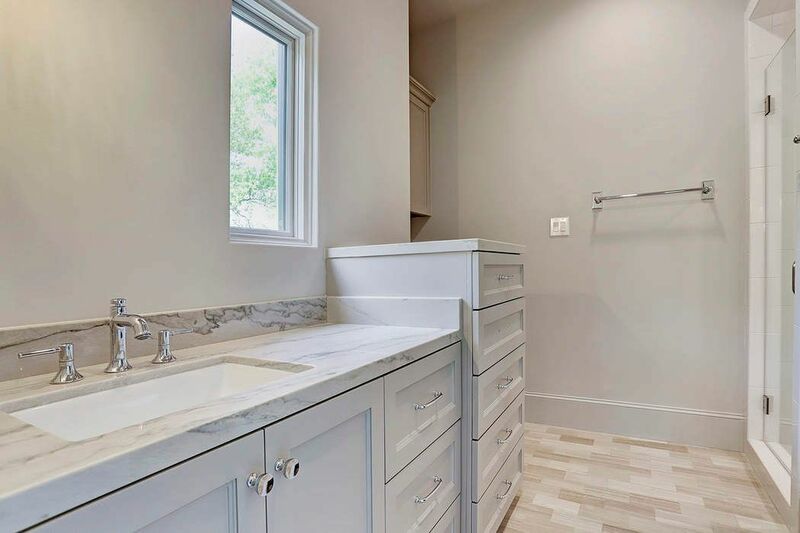 The mirror has not yet been installed. 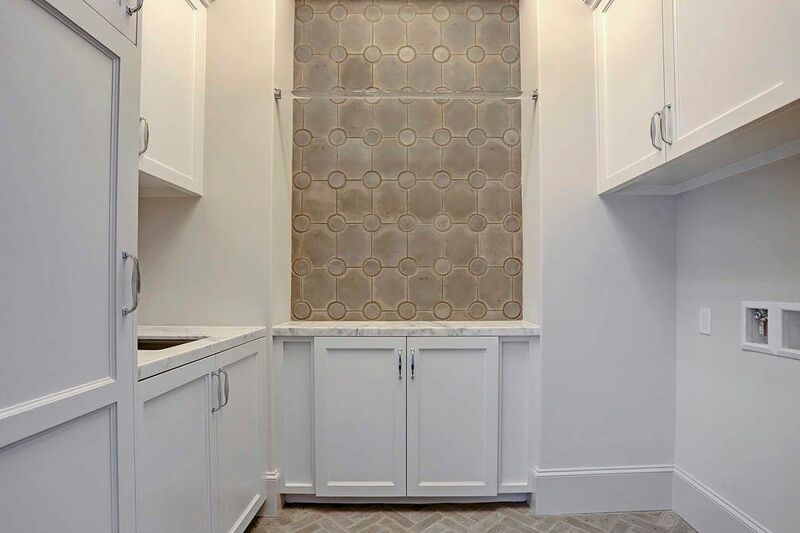 These wonderful storage cabinets are located just inside the back door. 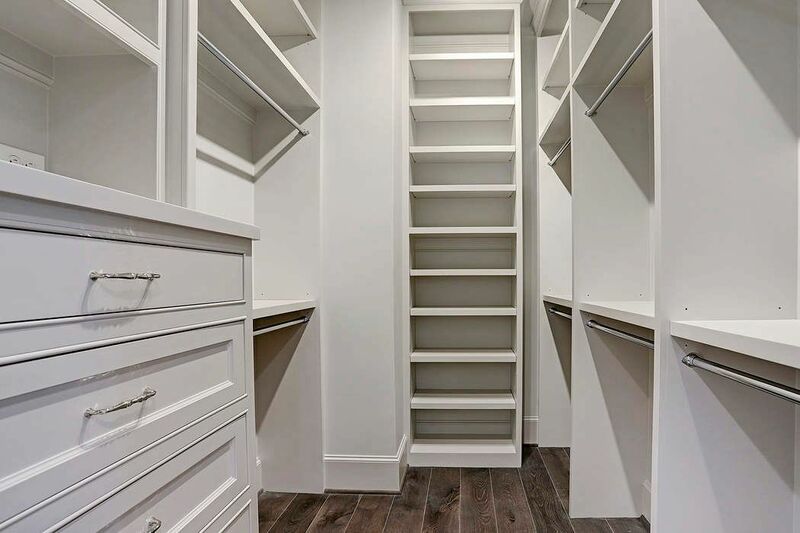 There is also a large closet under the staircase for additional storage. 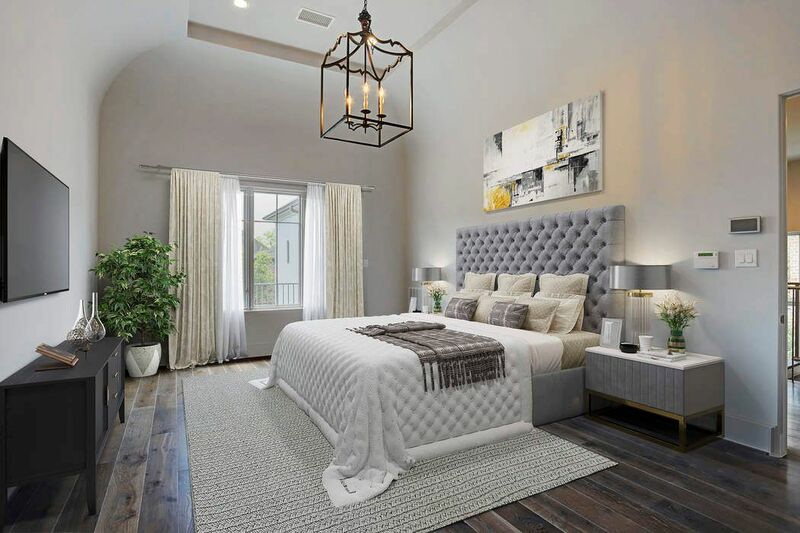 Located upstairs, the large master bedroom has plenty of space for a sofa under the window that overlooks the balcony and backyard. 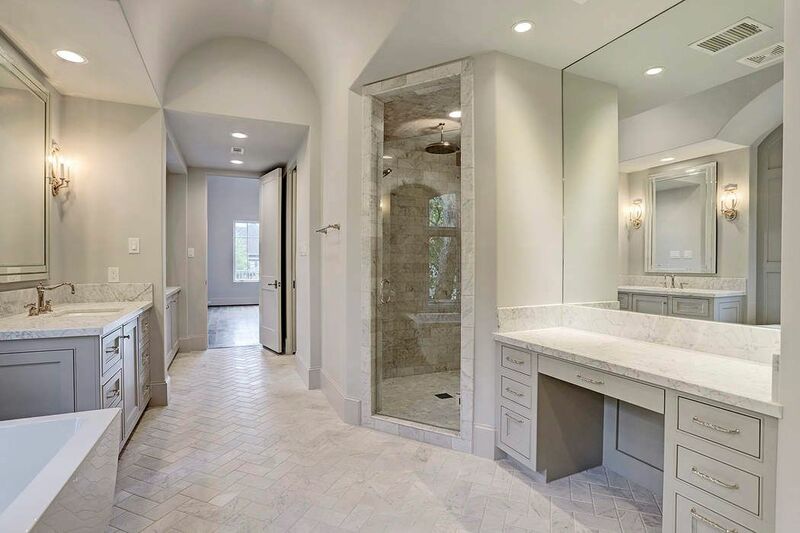 Simply stunning, the master bath features slab marble countertops, a free-standing soaking tub and gorgeous marble tile flooring and shower walls. 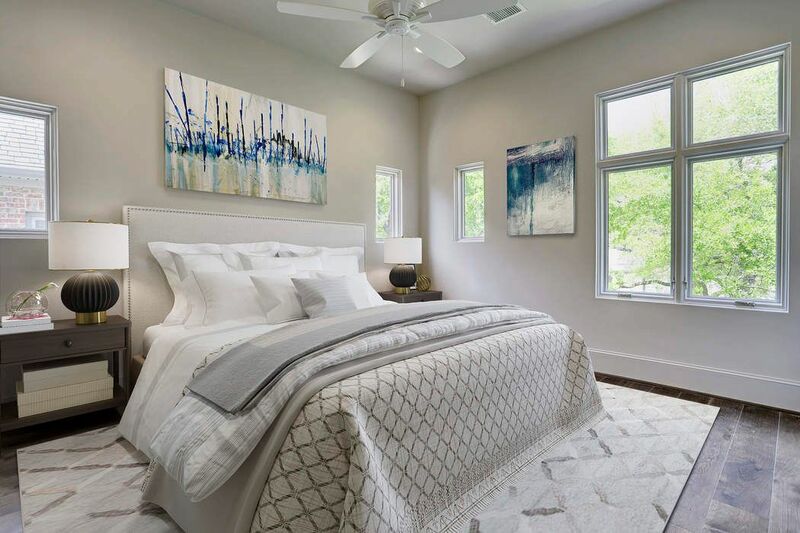 There is also sound insulation installed in the perimeter walls of the master suite. 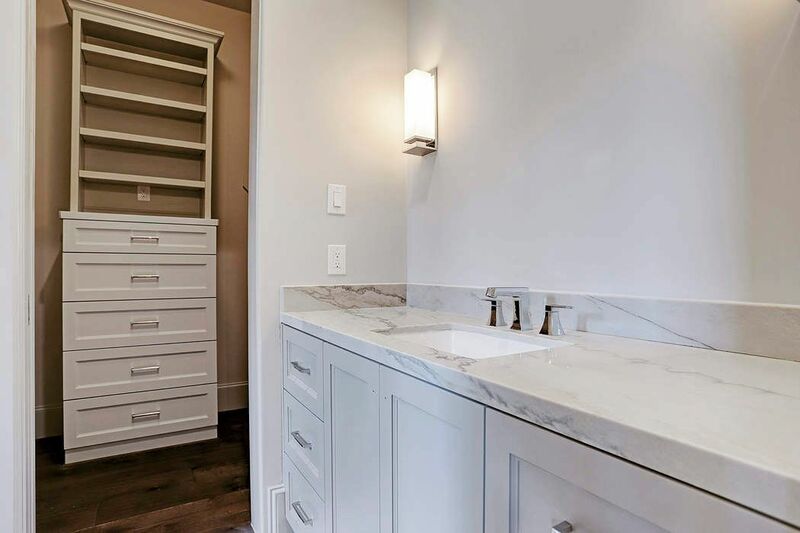 This wonderful built-in cabinet storage with a marble countertop is just to your right as your enter the master bath. 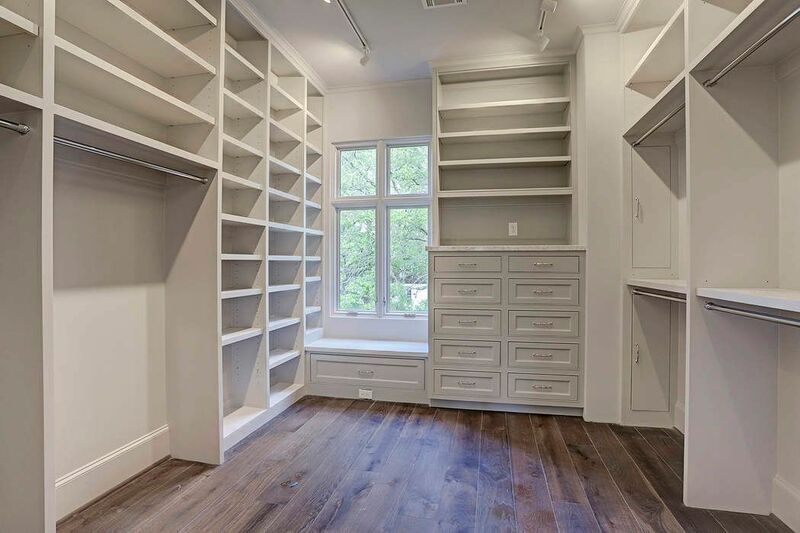 The master suite includes two large walk-in closets with hardwood flooring, soft track lighting and ample built-in shelving and cabinets. 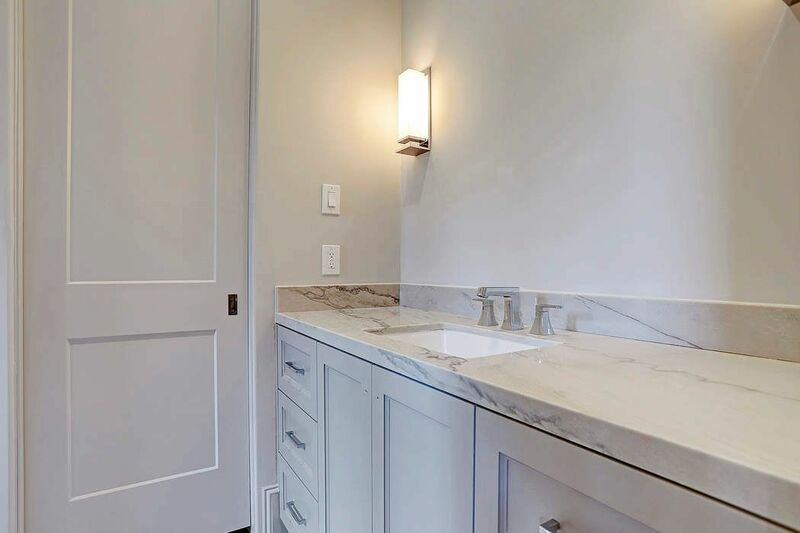 Even the laundry room is stylish in this home with slab marble counters, chic stone tile work and a lucite hanging rod. 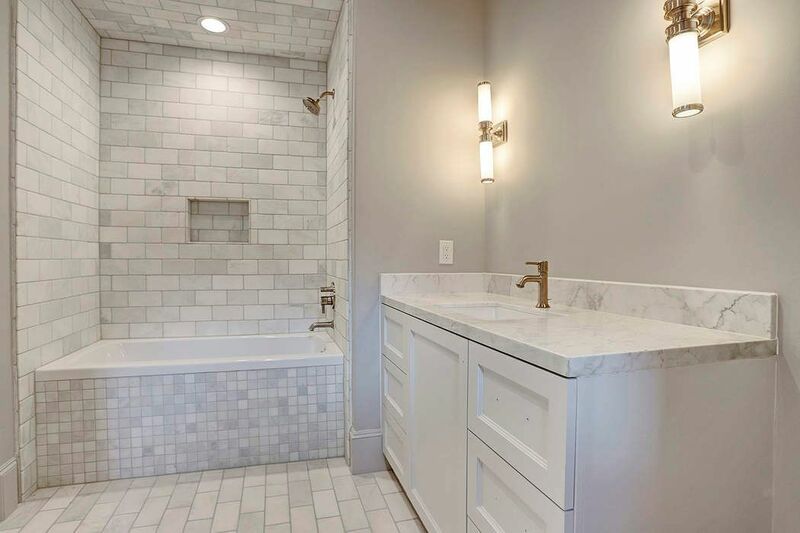 Not pictured is the contemporary, Sputnik hanging light fixture. 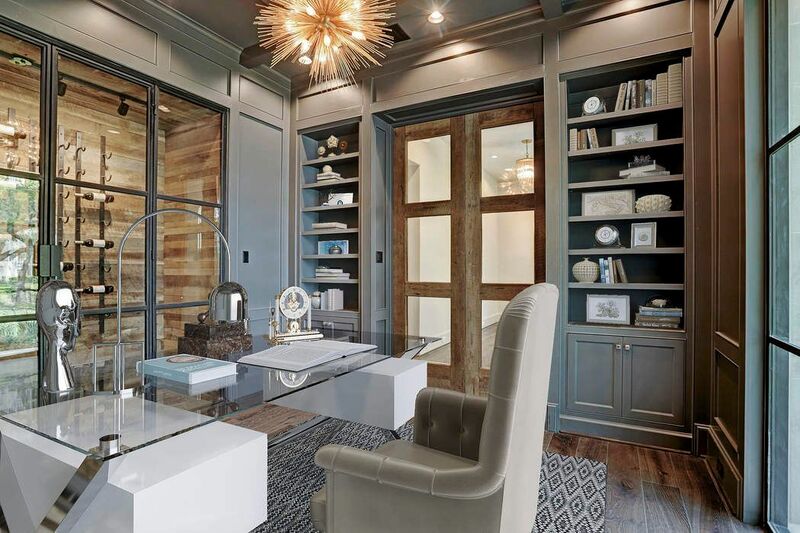 This custom-built workspace in the upstairs hallway gets plenty of natural light from the raised ceiling and skylight above. 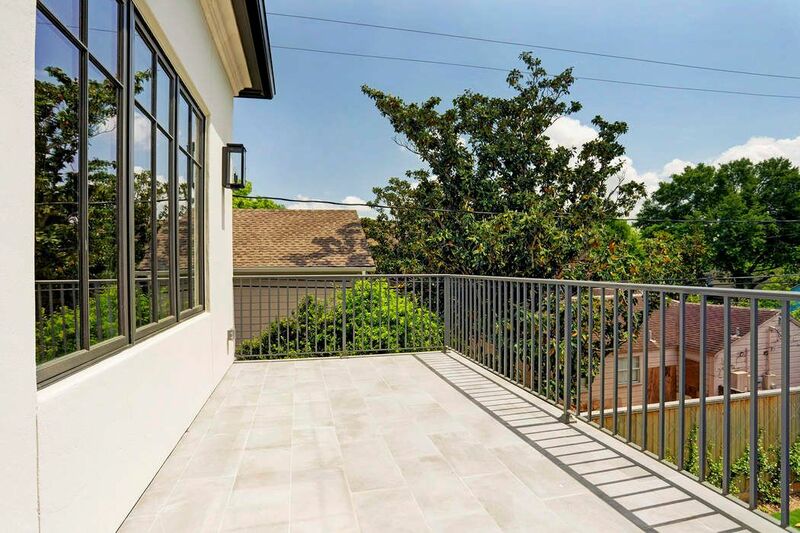 This large balcony overlooks the amply sized backyard and is finished with a lovely stone tile floor and hand-forged iron railing. 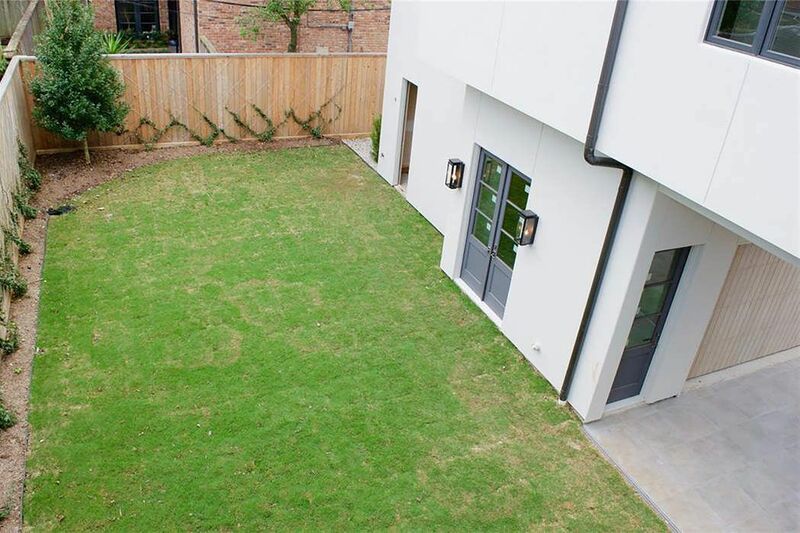 Plenty of room for a pool in this large back yard. 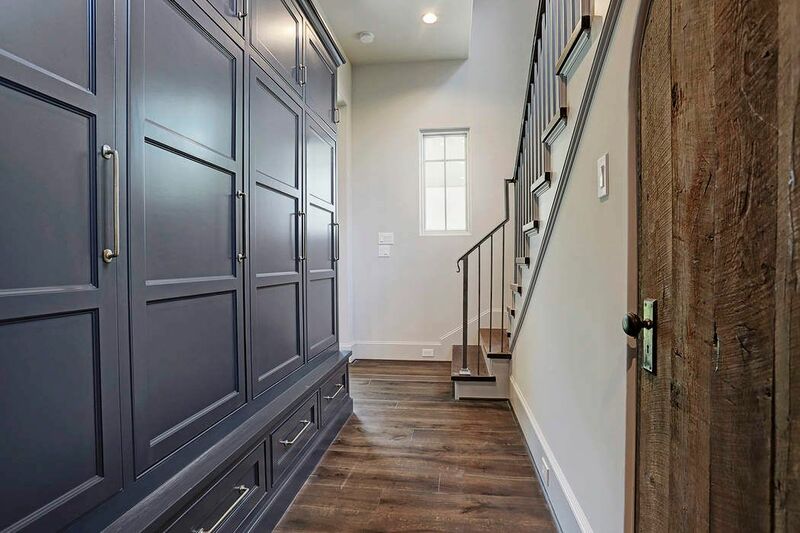 There is also a storage closet toward the end of the garage that is pre-plumbed should the buyer opt to install a cabana bath (at buyer's cost). Nice aerial view of the home. 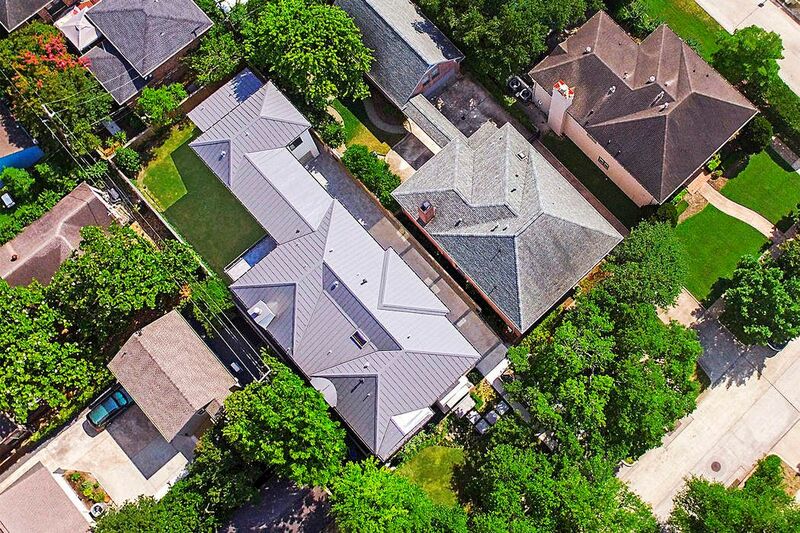 Notice the high-end, standing seam metal roof spans the entire building structure, not just the main home. 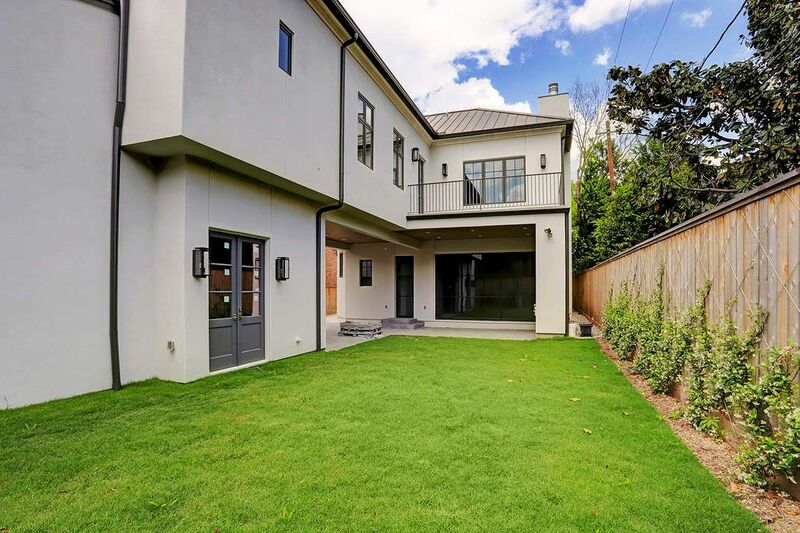 $2,649,000 4 Bedrooms4 Full / 1 Partial Baths4,811 sq. ft. 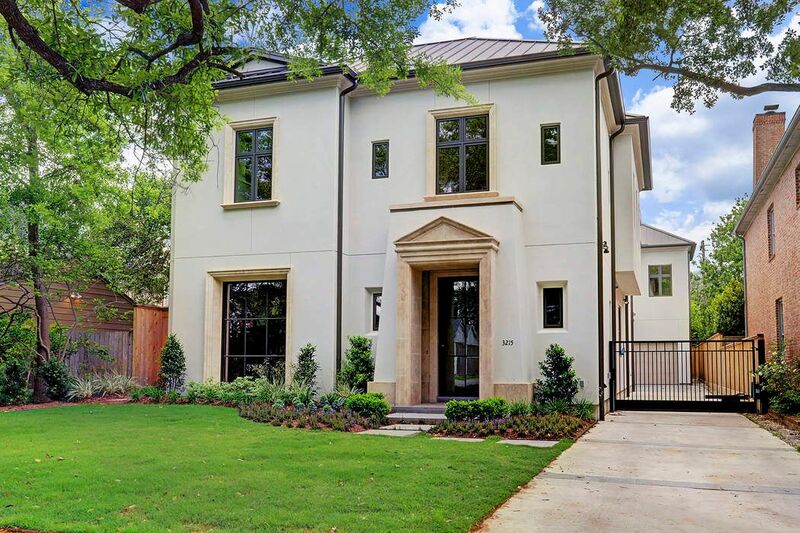 This sophisticated new construction in West U was designed by Robert Dame and built by Stonehenge. 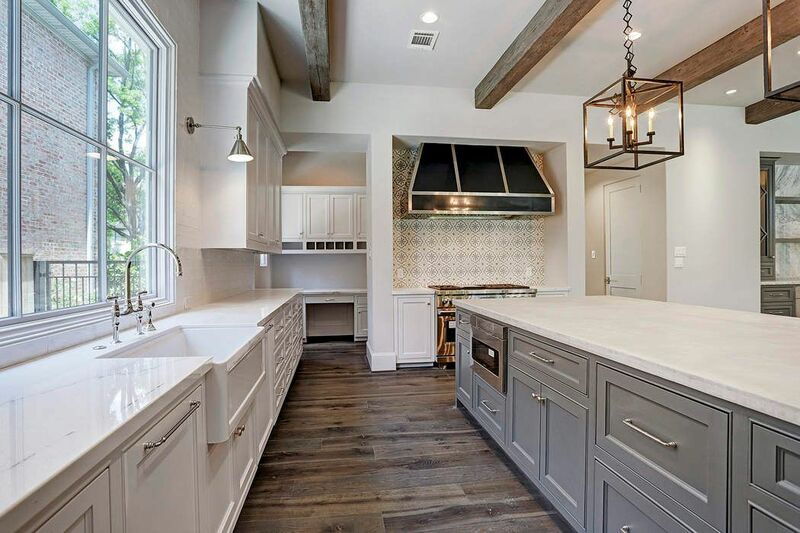 High-end materials and distinctive finishes were used throughout. 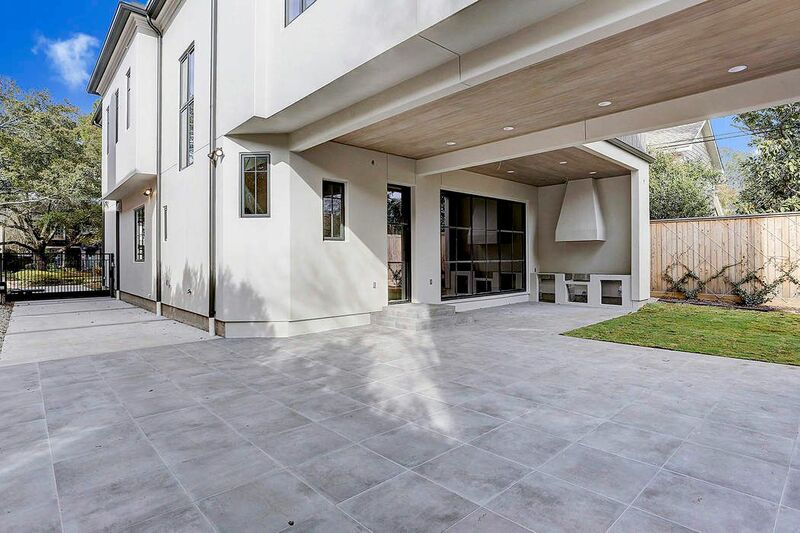 The sleek exterior was achieved with a smooth, masonry stucco finish, custom steel doors and windows with limestone sills and a standing seam metal roof. 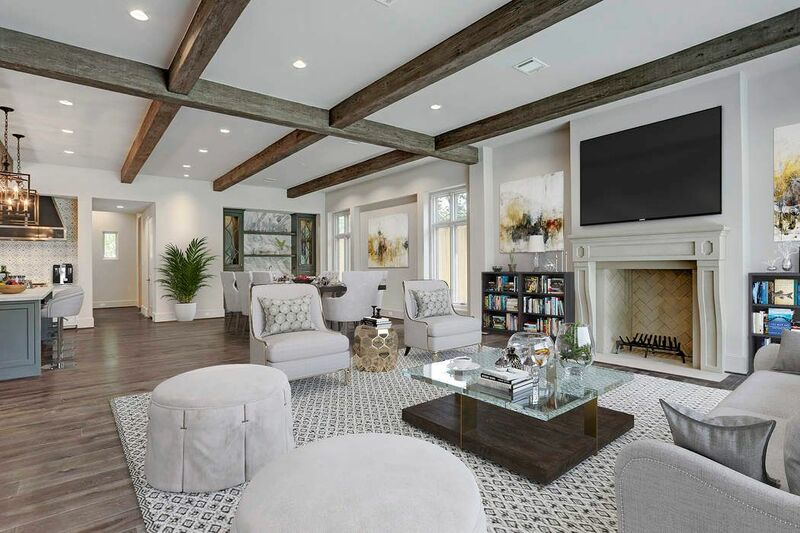 The professionally designed interior features custom designed cabinetry; wide plank French oak flooring; gorgeous lighting and an open concept floor plan for entertaining. 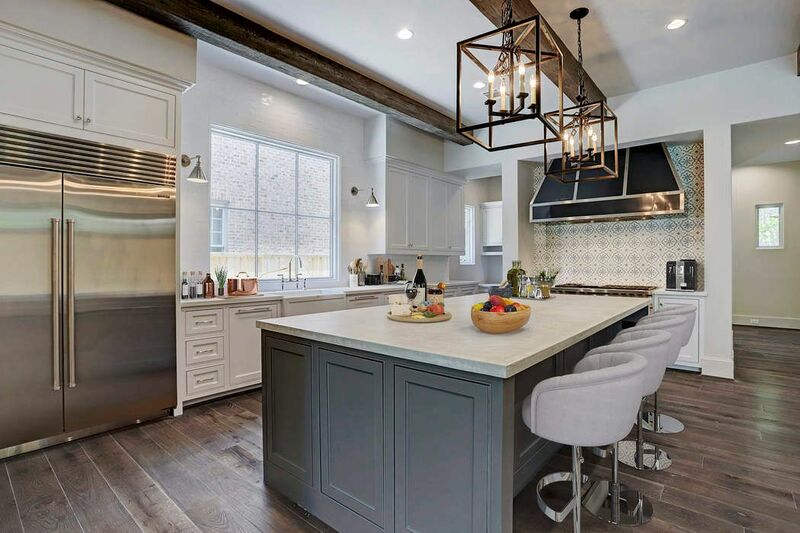 Other features include a paneled study with a stunning steel and glass wine closet; large dining and living areas accented with solid stock fir beams and a limestone mantle; a spacious kitchen with Sub-Zero/Wolf appliances, custom metal vent hood and an oversized island with plastered top. 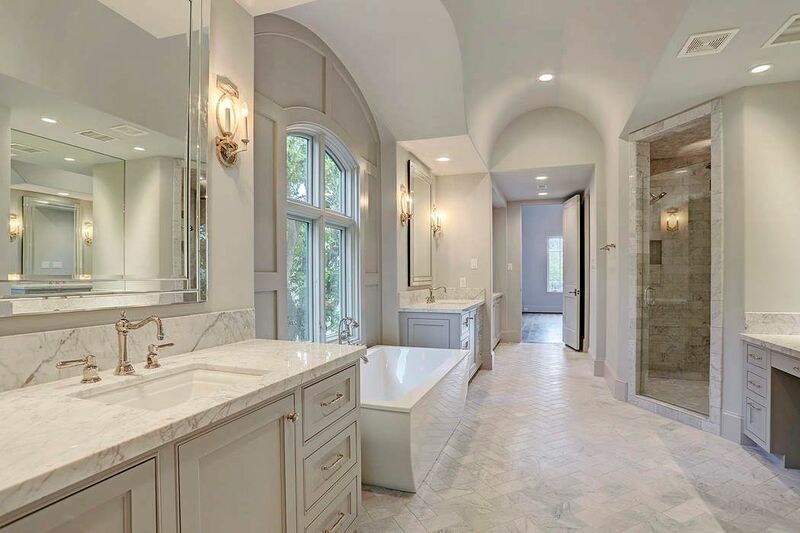 Upstairs is the gorgeous master suite with a balcony, his and hers closets and a marble bathroom with a freestanding tub. 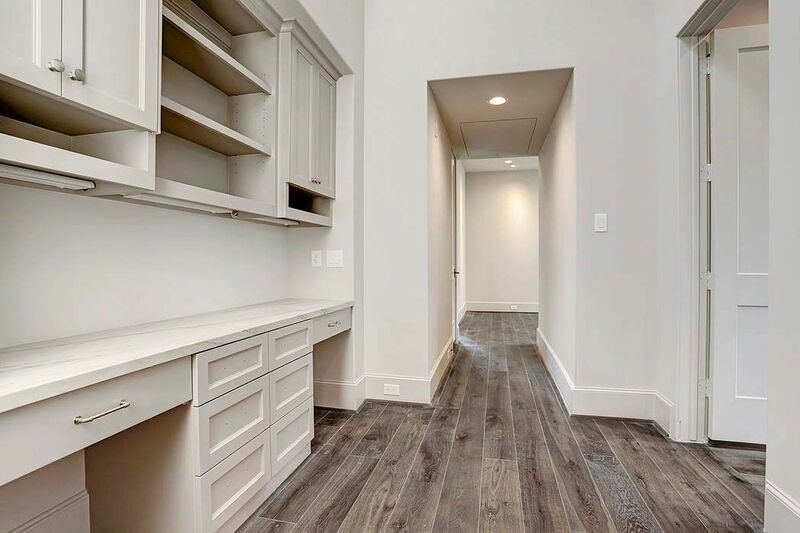 Additionally, there are three secondary bedrooms with en suite baths and a spacious game room that opens to the balcony overlooking the backyard.